It was the summer of 1983, I was home between semesters of my bible college days, I was standing behind the counter of my father’s fast food restaurant, when a small boy reaching his arm up, releases a fist full of coins onto the counter. Raising his eyes to mine, with a cherub like smile, he simply stated: “A vanilla cone please.” Looking at the coins still rolling on the counter, I knew he didn’t have enough. Taking my index finger, I began to count the coins. When there was none left to be counted, the boy’s face grew very solemn. He too knew it wasn’t enough. I reached into my pocket and pulled out a couple more coins and placed them alongside his own. His response shocked me. With a suspicious look, he again reached forward and began to pull his coins away. I told him, it was ok, he now had enough, and I tried to match the tone in my voice with that of the kind gesture. With a slight pause as if struggling against his better judgment, his smile returned, and I quickly scooped the coins up and proceeded to make him the LARGEST ‘small’ cone I have ever made complete with a curly-Q top. That moment impacted me and has never been forgotten. Suspicious kindness, sad isn’t it. Much of the time we are not used to receiving kindness; our first reaction is a pause, question the motive, and then refusal. With instant worry there HAS to be something wrong, or WAIT, what do you want in return? Our society has become so ‘ME’ oriented, to think on behalf of another with goodness takes great concentration, not to mention potential risk. 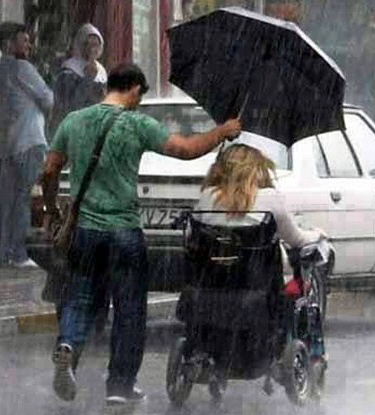 For some, to be kind is a sign of weakness. The Apostle Paul speaks directly to the qualities that do NOT (notice the NOT) come naturally to us, “Therefore, God’s chosen ones, holy and loved, put on heartfelt compassion, kindness, humility, gentleness, and patience…” (Colossians 3:12) we are not born with them; they are a CHOICE, a day-to-day, moment by moment ‘put on’ choice. 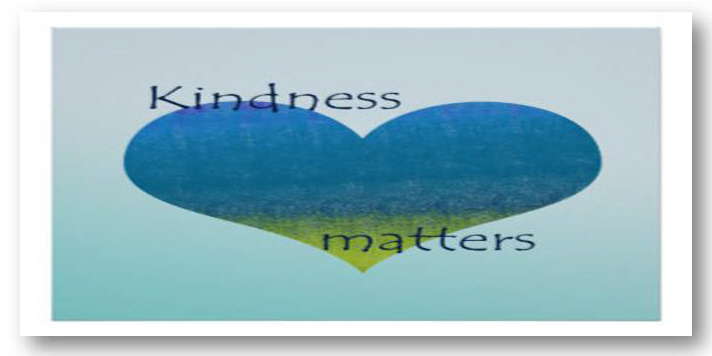 Kindness is the softer side of creation, the God in us peaking through with love and mercy. It is described by scholars that kindness is the inner heart attitude of tenderness, gentleness, and then goodness takes over and acts on the heart attitude. I see it in the word picture of one walking by a blind man holding a charitable cup for money. The HEART sees the man, the heart feels the man, the heart responds with God to the man, filling his cup. Love, kindness and goodness all go together. Love sees, kindness feels, and goodness does. May we all be challenged to be kind beyond ourselves, remembering that WE have been bathed in God’s kindness and goodness. We take an extra moment to listen. Find more coins in our pocket, open more doors, whatever is needed in the moment. Like the little boy with ice cream at the counter, he now has ENOUGH! God uses US in the enough equation. This entry was posted on November 14, 2017 by Inspired Fountain. It was filed under * Miscellanous Stuff and was tagged with Colossians 3:12, Godly kindness.